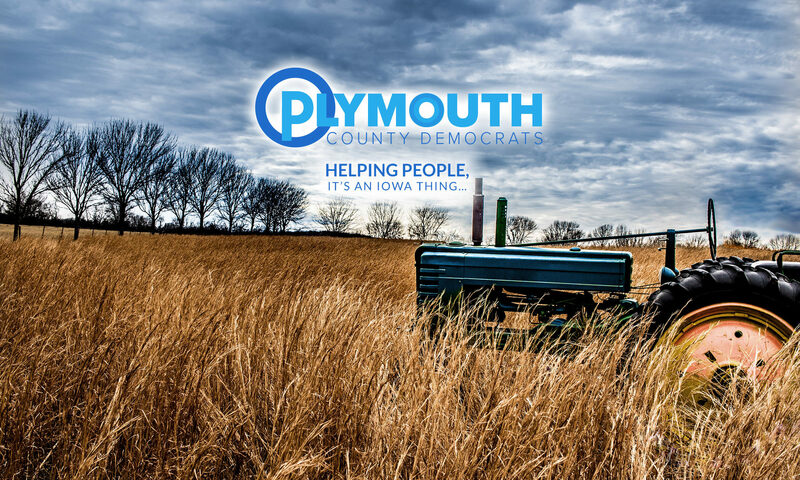 Plymouth County Democrats – "Democrats Care About People"
If you’re exploring your political options in Plymouth County, Iowa, this is the place to be. The Plymouth County Democrats are an active group of folks just like you, dedicated to helping people in need, offering a compassionate alternative, and informing area citizens about local issues. Who are the Plymouth County Democrats? We’re your neighbors. We’re fellow Iowans, farmers and teachers. We sit next to you in church, at the Legion, at the dinner table. We went to school at LCHS, Gehlen Catholic, some of us went to Westmar back in the day. We’re Westerners, Rockets, Panthers, Blackhawks. We sat next to you on the school bus. We’re your friends. We’re your family. The Plymouth County Democrats will be holding their regular monthly County Central Committee meeting at 6:30 p.m. on Monday, April 15, 2019, at Lally’s Eastside Restaurant, 125 Plymouth Street NE, Le Mars, Iowa. All interested Democrats are invited to attend. Come an hour early to eat with the group! Hello! If you’d like to get in touch with us, you can e-mail us here, or use the handy form below, whichever prefer.